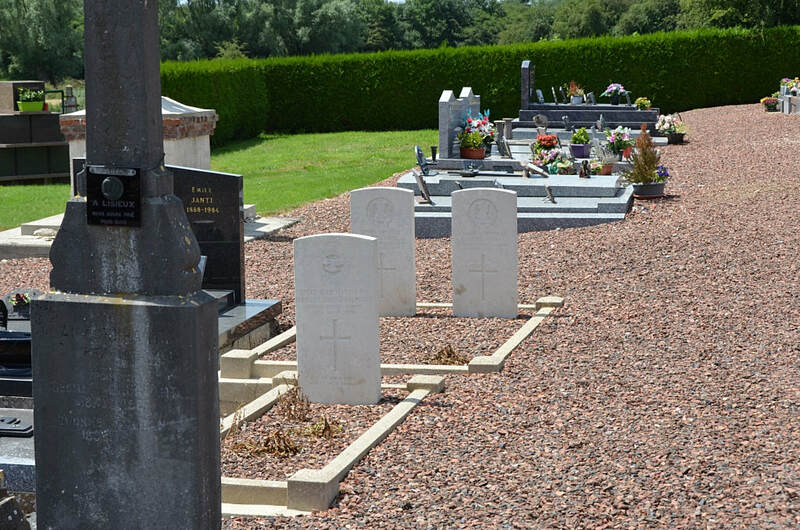 La Vallée-Mulâtre is a village about 11 kilometres south of Le Cateau, the Cemetery is on the south-western side of the village. The village was captured by the 1st Northants on the 17th October, 1918. 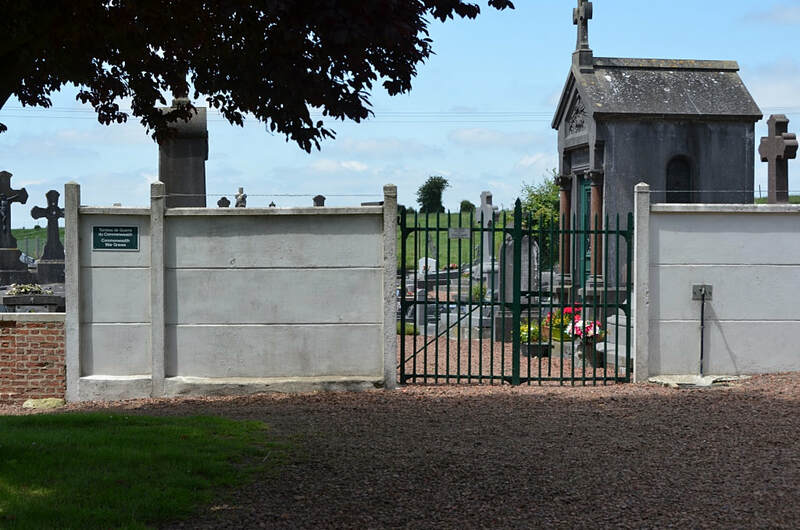 The COMMUNAL CEMETERY is immediately West of the Church. In the North-West corner of it are the graves of three United Kingdom soldiers, and on the South boundary those of three others; one (a R.F.C. officer) fell in March, 1918, and the other two in October, 1918. The EXTENSION is on the South side of the Communal Cemetery. 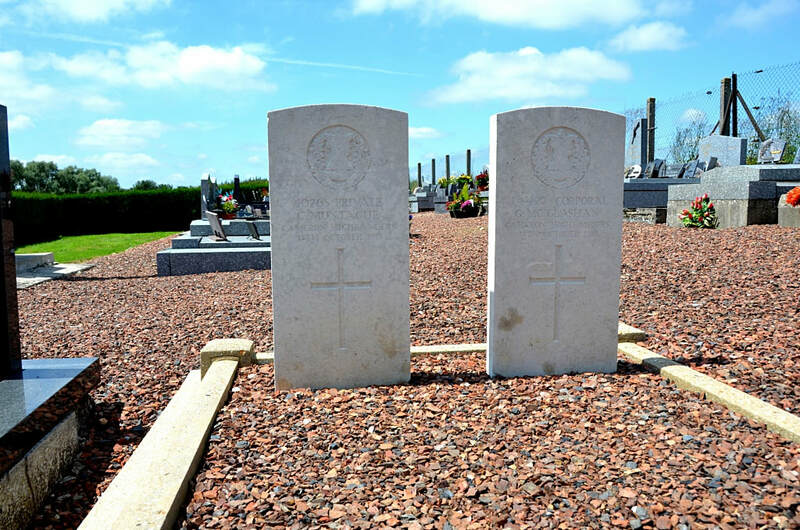 It was made by fighting units in October and November, 1918, and five British graves were brought in after the Armistice. It now contains the graves of 46 United Kingdom soldiers (mainly of the 1st Division) and four unknown German soldiers; and in addition one special memorial is erected to one United Kingdom soldier, known to be buried in the Cemetery. 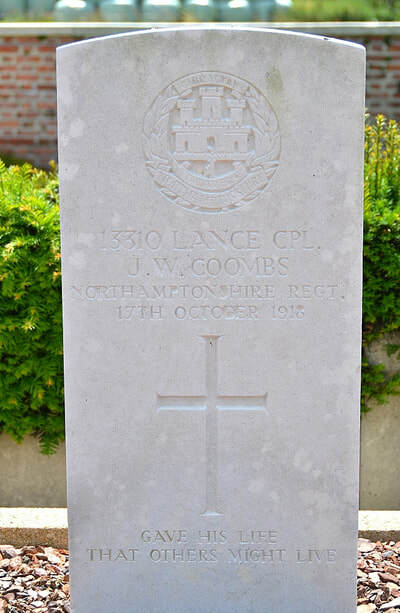 13310 Lance Corporal Josiah William Coombs, 1st Bn. Northampton Regiment, died 11th October 1918, aged 26. Son of Mrs. N. Coombs, of 70, Gold St., Wellingborough. 27811 Private Charles George Eastgate, 1st Bn. 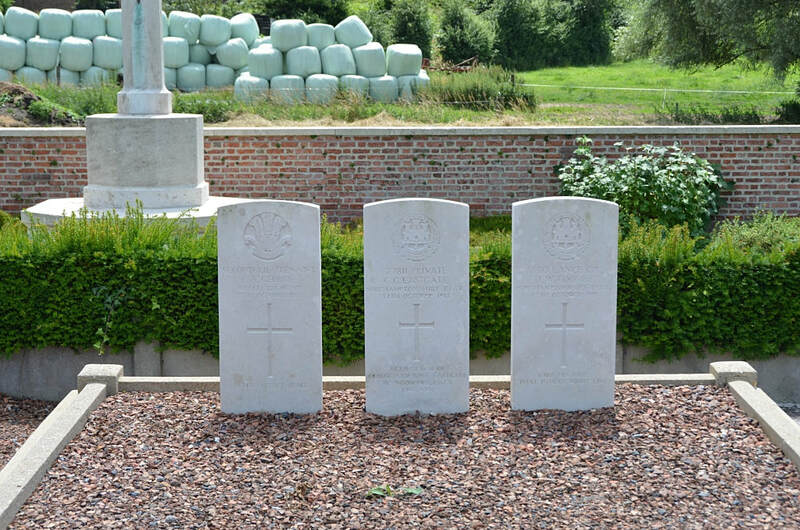 Northamptonshire Regiment, died 17th October 1918, aged 21. 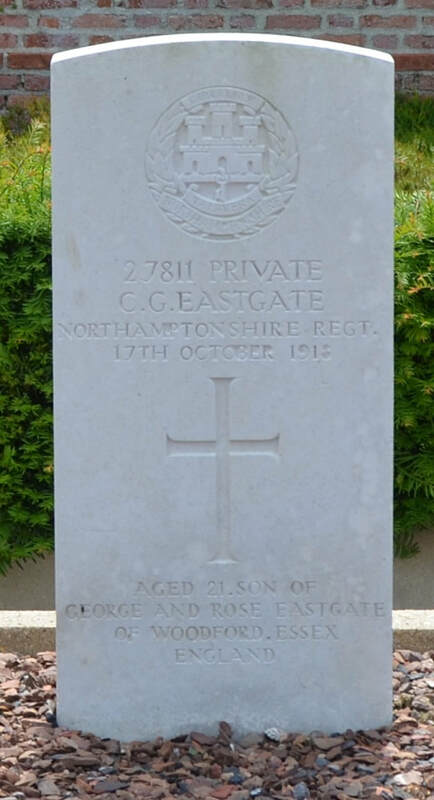 Son of George and Rosanna Eastgate, of 2, Lincoln Villas, Stanley Rd., Woodford, Essex. Born at Fairfield Melbourne, Australia. 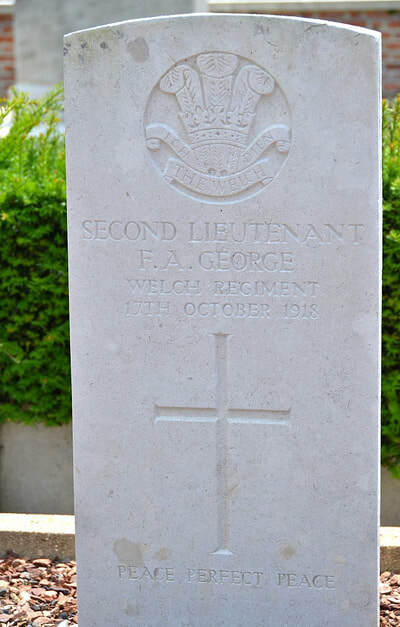 Second Lieutenant Frank Alfred George, 6th Bn. Welsh Regiment, died 17th October 1918, aged 28. Son of Mrs. Rose George, of 37, Carlyle Rd., South Ealing, Middlesex. 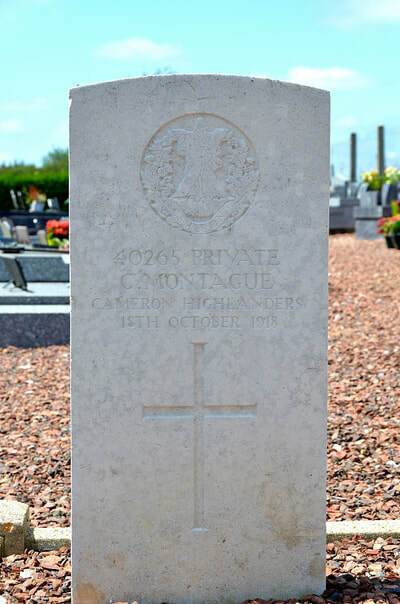 40265 Private C. Montague, 1st Bn. Cameron Highlanders, died 18th October 1918, aged 32. 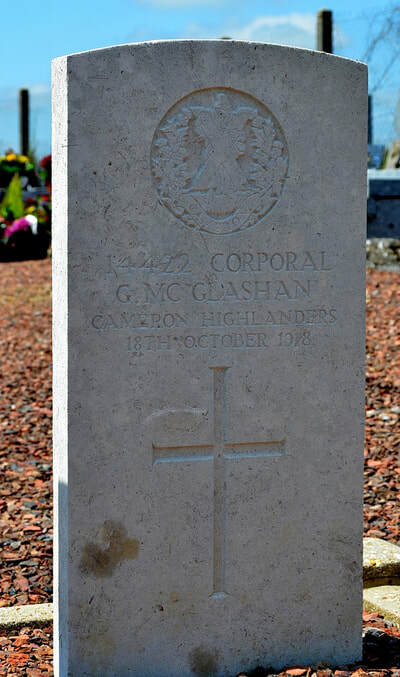 14422 Corporal G. McGlashan, 1st Bn. Cameron Highlanders, died 18th October 1918, aged 33. Son of Mrs. M. S. McGlashan, of Rockfield, Pitlochry, Perthshire. 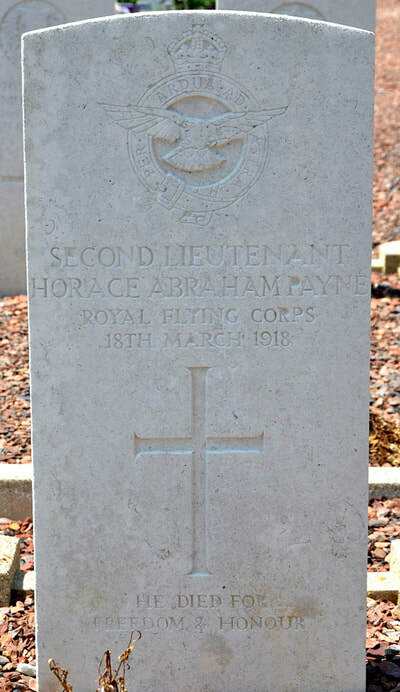 Second Lieutenant Horace Abraham Payne, Royal Flying Corps and General List, died 18th March 1918, aged 22. Son of Mr. A Payne, of Ardmay, Avenue Elmers, Surbiton, Surrey.